The fluorescence spectra of serum interaction between Daqing Saposhnikovia divaricata and dif-ferent biochemical indexes were studied by RF5301 fluorescence spectrophotometer. 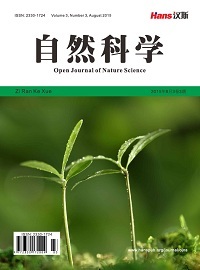 The results showed that the fluorescence of Daqing Saposhnikovia divaricata was mainly distributed in the re-gion of 320~570 nm; the best excitation wavelength is at 310 nm; the fluorescence peak position is at 428 nm. The spectrum shape of serum remained unchanged after adding Saposhnikovia divari-cata, but the range of luminescence is reduced (300~450 nm). 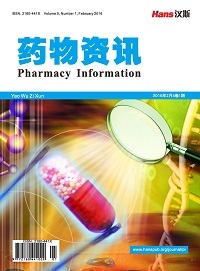 The fluorescence quenching degree of the serum of Daqing Saposhnikovia divaricata against different biochemical indexes was different, and the fluorescence quenching effect of the normal and hyperlipemia serum was the strongest, while the hyperglycemia was weak. 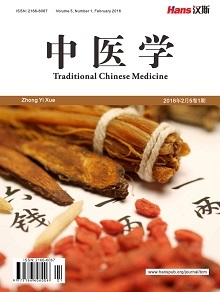 This study provides a certain reference value for the study of spectral characteristics of Chinese herbal medicine and serum. 国家药典委员会. 中华人民共和国药典[M]. 北京: 北京化学工业出版社. 2005: 102. 朱玉野. 防风抽蔓期激素变化规律的研究[D]: [硕士学位论文]. 长春: 吉林农业大学, 2007. 王喜军, 孟祥才, 左军. 黑龙江省地道中药材龙胆、防风的种植基本情况调查[J]. 中医药信息, 2003, 20(2): 55-56. 孙晶波. 防风药材化学成分及其与根际土壤中无机元素含量的相关性研究[D]: [博士学位论文]. 长春: 吉林农业大学, 2013. 韩忠明, 王云贺, 林红梅, 等. 吉林不同生境防风夏季光合特性[J]. 生态学报. 2014, 34(17): 4874-4881. 姜艳艳, 刘斌, 石任兵, 等. 防风化学成分的分离与结构鉴定[J]. 药学学报, 2007, 42(5): 505-510. 王田虎. 药物与生物分子相互作用的光谱特性分析与研究[D]: [博士学位论文]. 南京: 南京航空航天大学, 2011. Kandagal, P.B., Ashoka, S., Seetharamappa, J., et al. 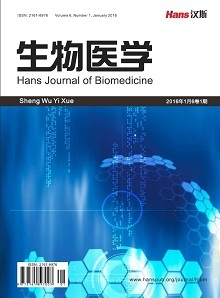 (2006) Study of the Interaction of an Anticancer Drug with Human and Bovine Serum Albumin: Spectroscopic Approach. 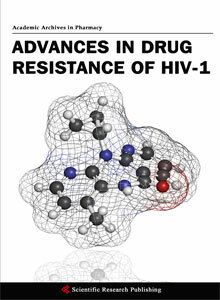 Journal of Pharmaceutical and Bio-medical Analysis, 41, 393-399. Gao, W.H., Li, N.N., Chen, Y.W., et al. (2010) Study of Interaction between Syringin and Human Serum Albumin by Multi-Spectroscopic Method and Atomic Force Microscopy. 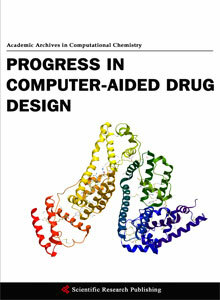 Journal of Molecular Structure, 983, 133-140. 曹团武, 周坤, 黄文兵, 等. 光谱法研究哈巴俄苷与人血清白蛋白的结合反应[J]. 分析化学, 2017, 45(5): 700-706. 王乐新. 人体血样的光谱特征探索与研究[D]: [博士学位论文]. 南京: 南京航空航天大学, 2009. 史训立, 张琳, 李路华. 中药八角茴香水浸液的荧光光谱[J]. 光谱实验室, 2013, 30(3): 1301-1304. 高天祎. 中草药防风的光谱特性研究[D]: [硕士学位论文]. 大庆: 黑龙江八一农垦大学, 2017.